Raise your hand if your Mama or your Mama’s Mama ever said, “If you ain’t got nothing good to say don’t say nothing at all.” Well, it’s been an interesting week of socialiting thus far. 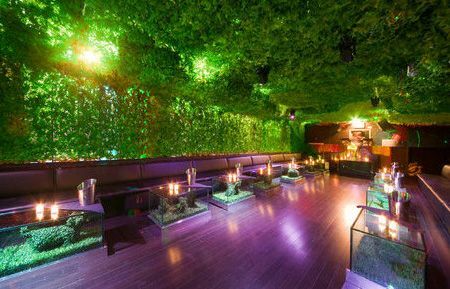 An emerging and pretty high-in-demand stylist, Steven Styles Cobb, invited me to a fashion show/after party at the trendy celebrity-magnet Greenhouse Thursday night. It was for the Rosa Pusher womenswear line. 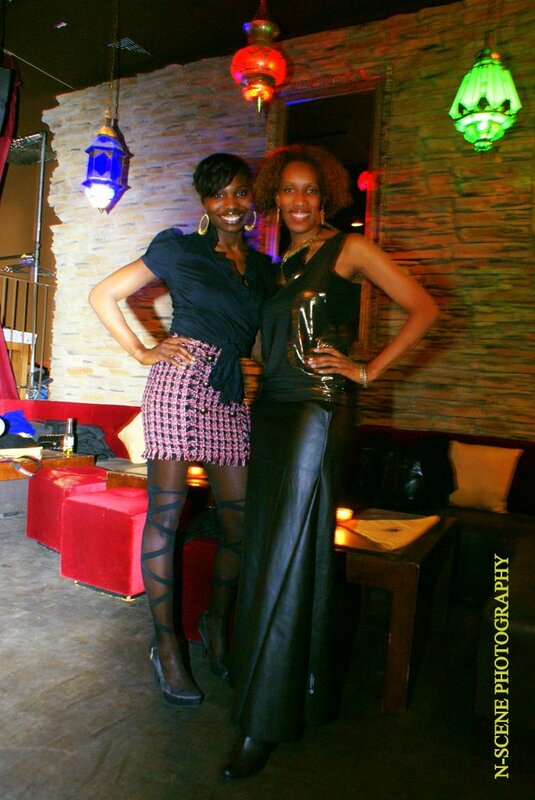 The after party was to be hosted by self-made socialite Devorah Rose. Devorah is all plugged in to the Hampton’s scene and for some reason she keeps popping up in my web surfing, so I thought perhaps I’m supposed to meet this person. Sounds like the recipe for a fun evening, right? Yes, I rsvp’d and yes I received a confirmation. The phantom fashion show was to start at 7. Um, yeah. I arrived a little after that time and was greeted by locked doors. Called the lounge and was told that the show was really starting at 11. I met the designer, Tapti Tapan of Soul by Tapti Tapan; we chatted a bit and I waited for the show to start. The models didn’t hit the ‘runway’ until a couple of hours later. Patience is not normally a strong suit for me, but I maintained. My Grandma would be proud. Nature’s influence is definitely apparent as she used lots of color in the collection along with long airy skirts. My favorite piece was a yellow tank top paired with a long flowing skirt that resembled a light-textured denim. The look was finished with a real cotton belt. Super cute. Met a new homie, aspiring fashion coordinator and super fashionista Maria Bryant. Miss B. was dipped in a black vintage blazer with red buttons, red, black and white plaid mini, super cute black tights w/bowtie & crisscross patterns and a pair of hot black metallic Carlos Santana pumps. To quote Maria she was rocking the “throwback classy” look. You can catch this fashionista-on-the-rise in the February issued of Essence in the “Street Style” section or follow her stylish musings on Twitter @MisMariaB. As for my gear…I wore my absolute favorite article of clothing, a long black vinyl/leather skirt from Exodus by Jon Berry. I paired it with a really funky gold metallic tank provided by the Mess Queen, who specializes in snazzy “leggingz”. Thanks Courtney! Jewelry designer Ayaka Nishi benevolently entrusted me with her uniquely exquisite creations, which pay complete homage to earth and its wonderful creatures. 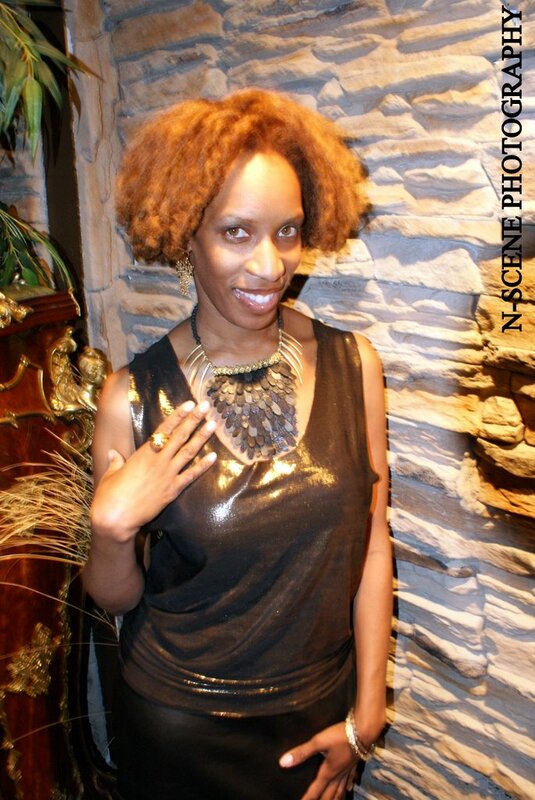 I was honored to be the first person to wear the lava, brass & leather Fish Scales Necklace. Ayaka had just finished making the piece when I walked into her East Village studio and she allowed me to christen it. Awww shucks! The work of art was partnered with a pair of gold/diamond bubble earrings, gold and gunmetal bangles and sea urchin ring. Ayaka’s work has been featured in Vogue and ELLE and various fashion shows. Seems I have something in common with Miss Willow Smith. Jada & Will’s little starlet also pulled (borrowed for laymen) a few pieces from Ayaka’s collection for a new video shoot. Yes I said new video! So I haven’t figured out if it’s a good thing that I have the same taste as a ten-year old miniature diva. Hmm? Yeah, pretty interesting week indeed. But Friday night promises to be smashing! Until then…stay radically fabulous. Hi Tracee, I am apologizing on the behalf of Fashion Designer Tammy Pusher as she was not the one who sat down in the meetings with the Managers of the Venue to plan this Event. This event was handled by Devorah Rose’s Team, not Tammy Pusher’s. Again, all of The Rosa Pusher Event’s will be handled efficiently and effectively and we apologize that you’ve received the wrong Invite. We’ve tried sending out the new and updated invite to everyone, obviously you did not receive it and we apologize for that again. Thanks so much! !